For Nissan, Chrysler and Volkswagen, fleet is an integrated part of aggressive growth strategies. The players are changing in the fleet business, especially in sales to daily rental companies. As General Motors, Ford and Hyundai-Kia back off, others are rushing in. For Nissan, Chrysler and Volkswagen, fleet is an integrated part of aggressive growth strategies, with Nissan even pushing dealers into local-level fleet deals -- so-called "fleet-tail." For Mazda and others, fleet is a lifeline to relieve bloated inventories. Fleet is the stepchild of the auto industry. Few automakers discuss their participation, but almost everyone sells to fleet customers. Most years it's a fifth of U.S. light-vehicle sales, according to Edmunds.com, TrueCar.com and the Automotive News Data Center. Edmunds.com put 2011 fleet sales at 2.5 million units. Perhaps because public sales data are so spotty and definitions of fleet business are so fuzzy, the fleet business -- especially the portion involving daily rental fleets -- has many critics. 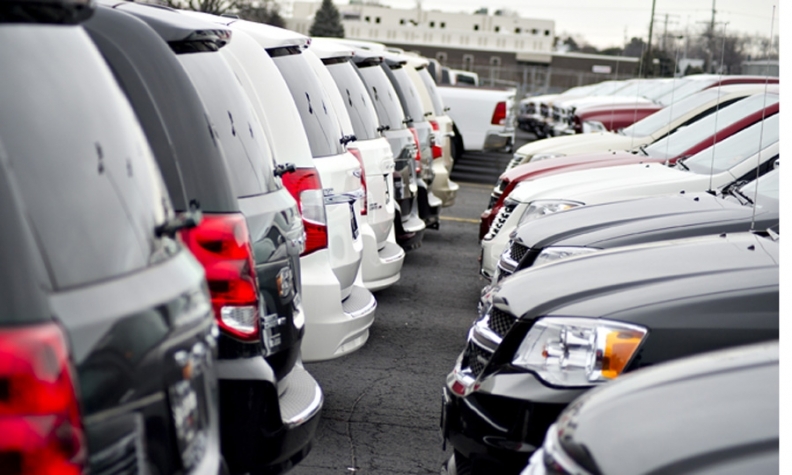 Dealers say daily rental fleet sales damage a brand's resale values. Financial analysts see it as an unprofitable dumping ground. Not so, says Kevin Koswick, fleet boss at Ford Motor Co. "The fleet business is a profitable business" for Ford, he said in a recent interview. "All of it is profitable." Ford and GM dominate the commercial and government sectors, which Ford said in 2011 was 39 percent of total fleet business. Commercial is mostly pickups and other trucks, and government sales are largely police cars. Ford and GM, and to a lesser extent Chrysler and Toyota Motor Sales, have the products to compete in those sectors, Koswick said. "Everybody wants a fleet business, but not everybody can do it," he said. "Many automakers don't have the full product range, and few have the staff and expertise to run it well." But the biggest chunk of fleet, the 61 percent of sales to daily rental companies, is drawing more import-brand competition in recent years, Koswick said. In the first four months of 2012, the total fleet mix has jumped for Toyota, Mazda, Nissan and Volkswagen brands compared with 2011 levels, TrueCar.com says, and is flat or falling for Ford, Chevrolet, Dodge, Hyundai and Kia. Nissan North America is a prime example of a company using fleet in an aggressive push to boost total U.S. sales. The past 16 months, fleet has grown even faster than retail. The fleet mix this year is 23 percent, up from 13 percent for all of 2010, according to the Automotive News Data Center. "Nissan sees weakness at Honda and Hyundai-Kia limited by capacity and feels this is a real opportunity to recoup some market share," said one Nissan dealer. "So it's pushing both retail and fleet." Starting in early 2011, Nissan also encouraged "fleet-tail" by dealers, changing policies to let dealers sell multiple units to daily rental fleets and letting its retailers count those deals as retail units that qualify toward monthly stair-step bonus programs, said a Southeastern Nissan dealer who asked not to be identified. Also in 2011, Nissan started a dealer rent-a-car operation that most dealers use for service loaners. It allows dealers to count internal rent-a-car purchases as retail sales -- and encourages quicker turnover by waiving the normal $379 fee dealers pay Nissan for factory warranties in the brand's certified used-vehicle program, the dealer said. Nissan lets medium-sized dealers count up to 25 units per quarter of daily rental deals and 10 units per month of rental buys toward their stair-step, but the dealer said he avoids both because he would be "just building a bubble for myself a year later." Two other Nissan dealers confirmed the policies, and one defended it vigorously. "I don't see anything wrong with it," the dealer said. "We prefer to sell retail and avoid fleet because we lose F&I, service business and word-of-mouth. But selling fleet-tail is just a way to move some aged inventory." Nissan Division General Manager Al Castignetti said: "We have been diligent at holding fleet sales as a certain percentage of our retail sales in recent years, and continue to do so." Volkswagen Group of America also is using fleet in its ambitious drive to more than double U.S. sales by 2018, to 800,000 for VW and 200,000 for Audi. By Edmunds.com's count, VW group's fleet mix more than doubled, from 10.4 percent in 2008 to 23 percent in the first two months of this year. TrueCar.com, measuring by brand, said VW's fleet mix for the first four months of this year is 17.2 percent, almost double the 8.7 percent for all of 2011. After heavy reliance on fleet sales to survive after its bankruptcy, Chrysler Group has slashed fleet volume. In 2011 it cut fleet volume by 4 percent, while retail sales jumped 43 percent. In four months this year, fleet sales are up 27 percent but retail volume is even loftier: 37 percent higher. 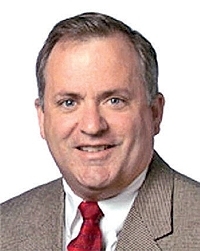 Ford's Kevin Koswick: "Everybody wants a fleet business but not everybody can do it." For Mazda, heavy fleet sales mask its retail struggles. Total Mazda sales through April are up 22 percent to 103,529 units. But TrueCar.com says the brand's fleet mix is 31 percent this year, up sharply from 19 percent in 2011. That suggests that without fleet, Mazda sales would be falling in a rising marketplace. Toyota Motor Sales has increased its fleet mix sharply this year, which Toyota brand chief Bob Carter attributes to make-goods to fleet clients bypassed last year when Toyota diverted its production to dealers after the March earthquake in Japan. Fleet is 15 percent of the mix through April, compared with full-year figures of 8 percent in both 2010 and 2011. Detroit is not alone in reducing reliance on fleet. In 2008, Hyundai-Kia Automotive sold 22 percent of its volume to fleets, Edmunds.com said. Through April, the mix is down to 10 percent this year as Hyundai-Kia tries to keep U.S. dealers stocked despite capacity constraints, according to the Automotive News Data Center. Jeremy Anwyl, CEO of Edmunds.com, said most automakers try to limit daily rental fleet volume. But the sector is always a quick-fix temptation. "Too much fleet affects residual value -- but that's down the road," he said. "If you have 10,000 too many of a model, it's pretty hard not to pick up the phone and cut a fleet deal."